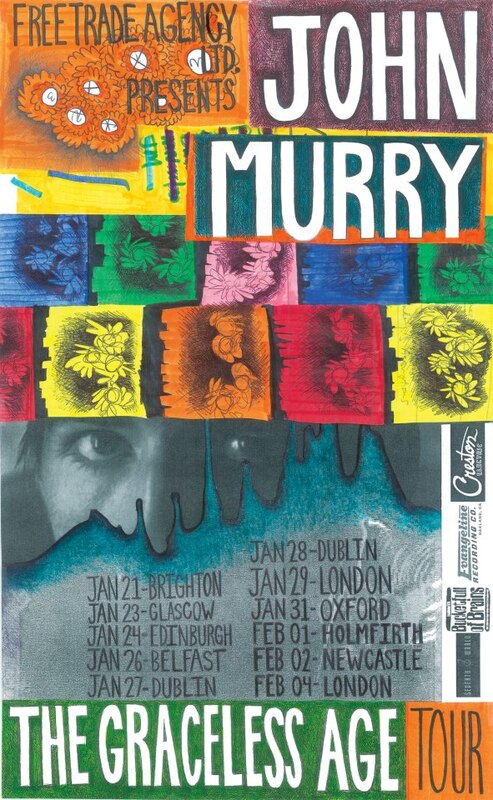 In just under two weeks John Murry begins his first solo headline UK tour. This follows the release last summer of The Graceless Age; an extraordinary collection of personal, soul-baring songs and performances assembled with the support and assistance of Tim Mooney, once of American Music Club, whose untimely death coincided with the release of the record. The Graceless Age is a barbed album; once it has its hooks in a listener it won’t let go, and they can’t let go. Over the last six months it has infiltrated its way into many lives, and the consequence is that Murry is here shortly for the first of what will be a series of visits to Europe in the coming period. But 2013 is the year when John Murry comes into his kingdom and this is the one sure chance of seeing him in relative intimacy, in small venues. Its an opportunity not to be spurned, to grasp the moment of watching these songs as they grow and transmute in live performance. It’s a short tour, a little toes in the water, and this time some parts of the country are better served than others but if you can find yourself anywhere in the vicinity these are the shows that are not to be missed. And though a Southern bias is quite deplorable if you’re anywhere near the Home Counties you could actually do four of them (Brighton, Oxford, Winchester, and London).